Tulsa, OK – BTW Sophomore Ashlyn Johnson and Augustine 8th grader Rose Stewart-Maddox spent some time over the holiday break rowing at the Tulsa Rowing Club with one goal in mind, setting a world record. 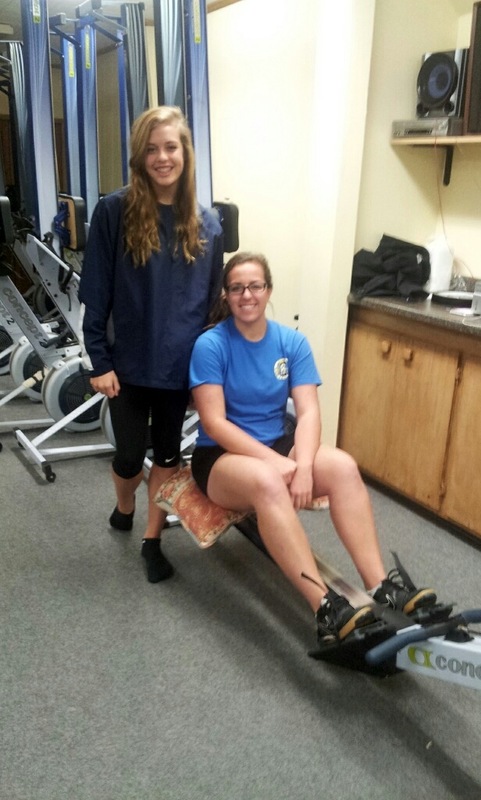 The pair started rowing on Concept 2 rowing ergometers at 12:00pm on Thursday Jan 2nd with the intention to break the tandem longest continual row for under 19 female youth rowers. The record stood at 30 hours and was held by fellow teammates Nicole Baumann and Victoria Richter. Forty hours later the pair stopped rowing and had managed to break the record and set a new bar for continuous hours of rowing on the machine*. When asked about their efforts the 40-hour pair had a few choice words of reflection. Tulsa Rowing Club Juniors is a youth organization serving Tulsa and surrounding areas. For more information on the club, visit the website at http://www.okrowing.org .The club can be found on Twitter at http://www.twitter.com/TulsaRCJuniors. *records are unofficial until verified by Concept 2 inc.